The chief of staff of French presidential candidate Marine Le Pen was put under formal investigation in a probe into the alleged misuse of EU money, the Paris prosecutor’s office said. Le Pen’s chief of staff, Catherine Griset, was charged with breach of trust, the prosecutors said, according to AP. Earlier Wednesday, Griset and the National Front leader’s bodyguard Thierry Legier were detained for interrogation in the case. Legier was later released without any charges pressed against him. Griset and Legier were suspected of being fictitiously employed at the European Parliament as parliamentary assistants, a source familiar with the case told AFP. 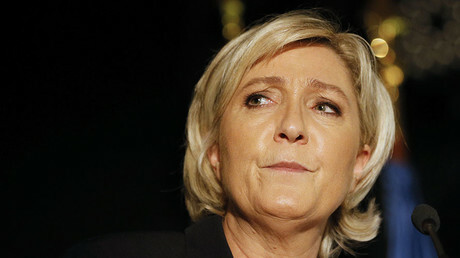 Prior to the detentions, Le Pen slammed the case as a “political plot” against her, stressing that the voters would never fall for it. “The French can tell the difference between genuine scandals and political dirty tricks,” the candidate was cited as saying by Reuters. Le Pen’s lawyer Marcel Ceccaldi also labeled the probe a “manipulation,” which was aimed at destabilizing her campaign ahead of the vote. 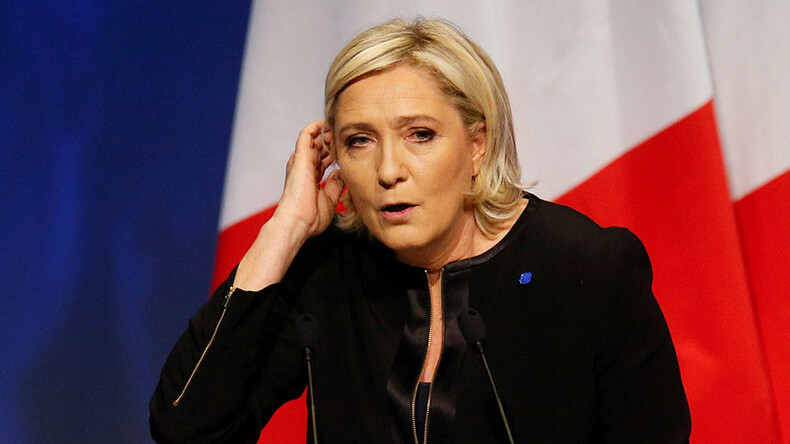 The National Front’s headquarters were raided by police Monday when Le Pen was on a trip abroad as part of the same investigation. Earlier, the European Parliament ordered Le Pen to pay back a total of 336,146 euros ($353,000) to compensate for improper payments. However, she refused to return the funds, appealing the decision and saying that the jobs of her staff were legitimate. An Ifop Fiducial poll on Wednesday put Le Pen in the lead with 26 percent of the vote in the first round of the French presidential election on April 23, ahead of independent Emmanuel Macron and Republican candidate Francois Fillon, each of them getting 19 percent. The poll says, though, that LePen will lose the second round to either of her rivals. Fillon is also embroiled in a financial scandal. He is being probed over allegations that his wife, who was on the French parliament’s payroll, did no real work.